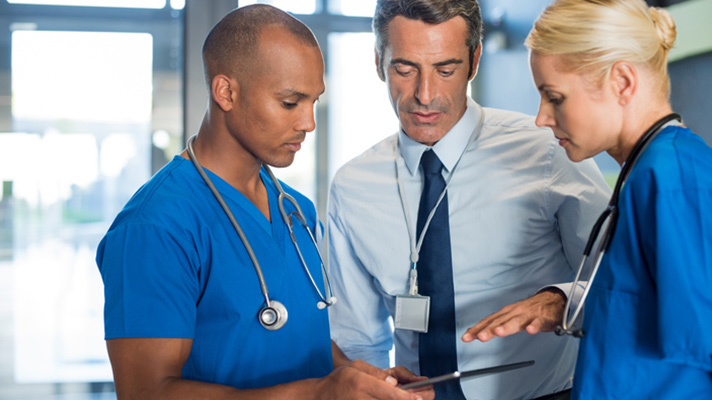 The HIPAA X12-278 could enhance payer-provider collaboration and ultimately emerge as a vital catalyst in the evolution of value-based care. Value-based care requires eliminating unnecessary healthcare costs while ensuring patients receive the right care at the right time. Yet in today’s transitional environment, providers and payers struggle with health IT infrastructures that are often incapable of supporting the high-velocity collaboration and communication critical to achieving these goals. Those shortcomings are painfully apparent in the realm of prior authorization. Emerging 30-plus years ago as a component of managed care, prior authorization was developed to help payers control costs by identifying unnecessary medical interventions. In practice, prior authorization has proven to be a cumbersome, labor-intensive process that generates enormous administrative burden for providers and payers, while contributing to treatment delays and undermining payer-provider trust. The good news is that existing technologies present an opportunity to break the logjam surrounding prior authorization. By modifying the existing HIPAA Healthcare Service Review X12-278 transaction standard to share clinical data, a new hybrid communications tool can be deployed to standardize, streamline and largely automate prior authorization throughout the industry. The humble 278 could enhance payer-provider collaboration and ultimately emerge as a vital catalyst in the evolution of value-based care. Because multiple phone calls often accompany an authorization event, details can be missed and misunderstandings are a constant risk. Fax communication is also inadequate. Providers tend to err on the side of caution by shipping all potentially relevant documents. This can make it difficult for payers to sort out the specific evidence they need. Allowing an external party EHR access may also raise additional concerns. For example, it is possible that the payer may identify previously unknown information that undermines the authorization request. The 278 Healthcare Service Review transaction protocol was meant to eliminate these inefficiencies by enabling electronic authorization requests from provider to payer and by alerting providers when authorizations were approved or pending. Static fields allow providers to convey basic financial and demographic information as well as limited clinical data, including diagnoses and requested services. The 278 cannot deliver the clinical details needed for authorization determinations, however. For that reason, the standard has gone virtually unused since it was incorporated into most practice management systems beginning in the early 2000s. Industry leaders believe an opportunity exists to modify the 278 standard so it can finally fulfill its original design intent. By incorporating electronic pointers into the transaction content, provider systems could automatically direct payer utilization management systems to the external resources required to reach an authorization decision. These could include medical appropriate reviews, order templates, or laboratory and imaging results. Creating standards to ensure these pointers are dynamic and effective will require a change in thinking, since unactionable, attached documents won’t do the job. That work is already under way. Both the WEDI and CAQH organizations have created specific prior authorization workgroups to address the problem. Additionally, the American Medical Association has published a paper outlining principles for improving prior authorization (3), and the provider community under the FHIR/HL7 group has begun reviewing the authorization process to improve clinical and fiscal data exchange. With this level of interest, there’s no reason to think a new model cannot be developed. It is important to note that already-existing attributes of the 278 make it ideal for delivering a combined payload of clinical and financial information. For example, the transaction supports reference to external paper work (PWK) resources that could point to FHIR resources (question/questionnaire), clinical reviews, or care documents. These external resources might be accessed through restful web services or cloud-enabled repositories for secure, real-time information sharing. Unlike many other X12 transactions, the 278 was always intended to accommodate a single, case-specific transaction with inquiry and response elements to enable direct collaboration. The development of a standardized, electronic conduit capable of conveying both clinical and financial information in a ‘clinancial’ solution represents an opportunity to greatly reduce the time and cost associated with prior authorization. It also raises the prospect of automating many routine authorization requests in pursuit of an exception-based system that could help quickly determine medical appropriateness at critical points along the care continuum. Perhaps most significantly, bringing prior authorization into the 21st century could establish the framework for improved collaboration and cooperation between payers and providers. Using existing care-utilization management resources enabled by an intelligent 278, payers and providers could access the same information and thereby strengthen the consistency and accuracy of medical necessity and prior authorization decisions. Moreover, transparency and consistency surrounding evidence-based payer rules would likely go a long way toward mitigating provider enmity towards the prior authorization process and payers generally. By putting providers and payers on the same page before a care event takes place, the intelligent 278 can help ensure that the promise of value-based care is realized.